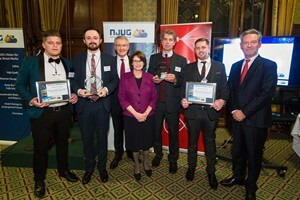 The winners were unveiled on the 16th November at the 2016 NJUG Awards ceremony held in Parliament. 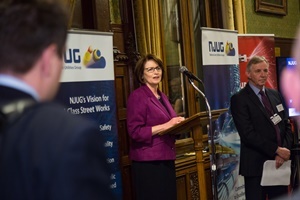 The event was hosted by the Chair of the House of Commons Transport Select Committee Louise Ellman MP, with Andrew Jones MP, the Parliamentary Under Secretary of State at the Department for Transport, delivering the keynote speech. 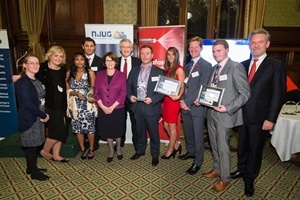 Sponsored by Virgin Media, the Annual NJUG Awards showcased examples of industry innovation that reflects the seven objectives of the NJUG’s Vision for Street Works. 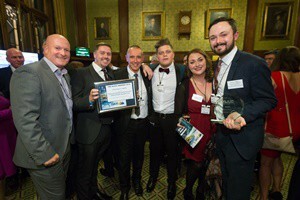 All winning entries will be used as examples of best practice and turned into case studies so that they can be distributed throughout the road and street works industry. These case studies will also be on our website soon. 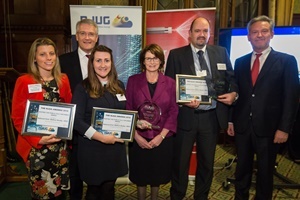 Submissions to the Awards were received from utilities, contractors and local authorities, and the winners were chosen by an independent panel of experts from national governments, local authorities and industry. 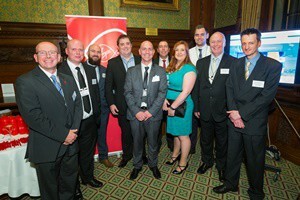 Balfour Beatty/South West Water Delivery Alliance – Sight Specific Initiative. 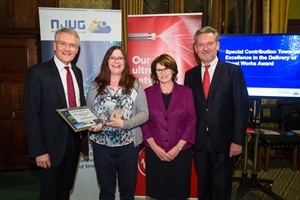 Morrison Utility Services – Tackling Lone Worker Dangers in Street Works. 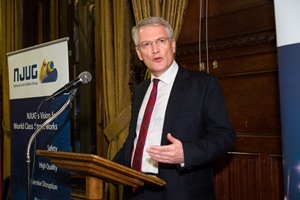 Kier/Anglian Water/Thames Water/Alliance Partners – Line in the sand. Skanska Construction UK Ltd/Transport for London – Working together to minimise disruption multi-utility diversion works at Ardleigh Green Bridge, Romford. Thames Water, eight20 – Keeping life rolling at Swiss Cottage. National Grid/Balfour Beatty/tRIIO – Mains replacement communications pilot. 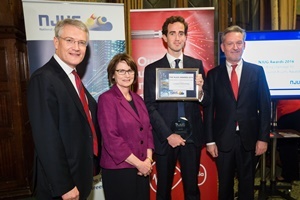 Thames Water, eight20 – Team puts in ‘sparkling performance at Greville Street’. Thames Water, eight20 – eight20 achieving sustainable construction, from site operations to tea time treats. Morrison Utility Services – Reducing the environmental impact of our streetworks. Morrison Utility Services – Morrison Fleet & Plant Services – Driving Towards a Greener Fleet. LinesearchbeforeUdig – Increasing the accessibility and visibility of utility assets through a single portal. Balfour Beatty – ‘The Journey Continues’ Cable Avoidance. 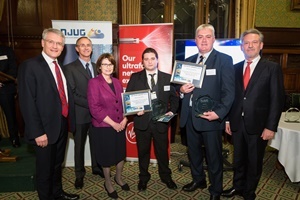 Thames Water/Acoustic Sensing Technology Ltd/Lanes and NRW Utilities Ltd – SewerBatt Prioritising Sewer Cleaning and CCTV. Amey/United Utilities – Customer Courtesy Cover. She has worked in the industry for 20 years, a number of which focusing on street works. Whilst with Thames Water, she has spent many years supporting the delivery of various projects to ensure continued compliance with changes brought about by the Traffic Management Act; NRSWA & various versions of EToN, including EToN6. As co-chair of a key HAUC(UK) Working Group, she is passionate about making a difference and with a positive can do attitude, determined and honest approach and sense of humour that inspires others to looks for solutions rather than simply point out the challenges! She has worked closely with her co-chair Phil Cameron and Systems Working Group colleagues to share knowledge and deliver, amongst other things, a series of informal guides on how to get the best out of EToN in respect of various issues, and also recently, a humorous sketch at the NJUG Conference highlighting the challenges of EToN, as well as being an active member of the HAUC(UK) Co-ordination Working Group. 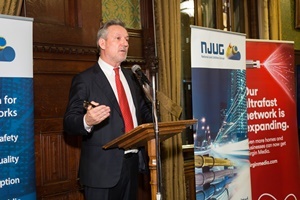 He has long been involved in the street works sector, playing important roles in both NJUG and HAUC(UK). He chairs and participate in a number of HAUC(UK) and NJUG Working Groups, and NJUG Expert Practitioner Groups and can always be relied on to take a balanced, constructive, solutions-based, pragmatic and positive view, whilst just quietly getting on with making things better. He is active in the NJUG EToN; Safety; and Penalties and Performance Expert Practitioner Groups and NJUG’s Operations Group. 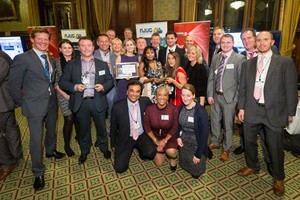 Steve has driven through positive changes in their company in driving up standards and communication, including engaging with local authority colleagues. He is also the chair of the NJUG Training & Accreditation Expert Practitioner Group and co-chair of the HAUC(UK) Training and Accreditation Working Group, working closely with the co-chair Robert Hudleston, fellow Working Group colleagues and DfT to open up accreditation of training bodies to competition and start to evaluate the training needs of the future.